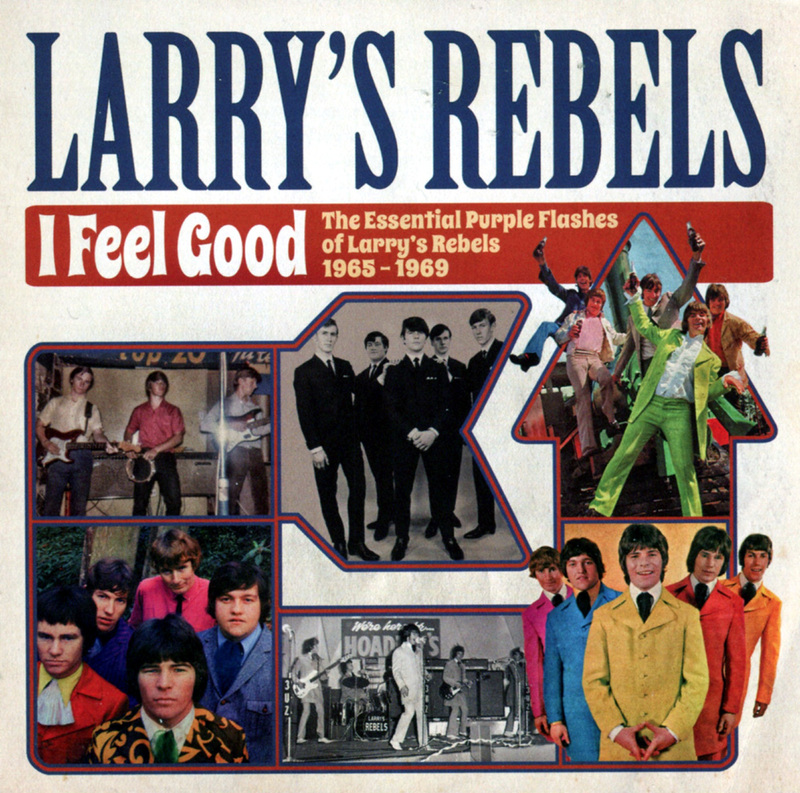 This 25 song CD collection of a Larry's Rebels collection subtitled -- The Essential Purple Flashes of Larry's Rebels 1965-1969 -- is a useful companion to some previous collections, notably the 2013 disc A Study in Black/Madrigal which pulled two of their albums onto one disc. With a very good synopsis of the band's story -- from the pre-Rebel schoolboy band the Young Ones (!) 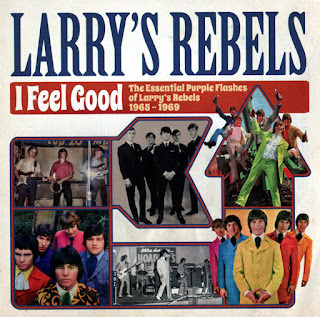 through to the post-Larry version simply billed as the Rebels -- by compiler and fan Grant Gillanders, this chronological account shows a damn fine band which was dab hand at adapting material by others for their own purposes. Starting as pop band influenced by the new sounds of Britain (the lightweight but nice This Empty Place and So Much in Love With You) they quickly adopted a tougher style (their covers of the Who's It's Not True and the Small Faces' Whatcha Gonna Do 'Bout It) and scored a huge Radio Hauraki hit with I Feel Good, a song which drummer Nooky Stott (still at school at the time) had heard on a shortwave radio station from Sweden. Their version is a Kiwi classic (covered later by Citizen Band) because no one here had heard the original (by the Artwoods). Songs like I'll Make You Happy, Painter Man and the more poppy Let's Think of Something in '67 -- the latter two here in NZ and Australian versions -- confirmed their reputation as a disciplined recording unit. Scattered throughout these tracks are some originals although few reach the heights of their covers (Speak My Mind a noble exception), and ironically after Larry Morris left for a solo career in '69 the remaining members had a number one hit, My Son John, with singer Glyn Mason. But their subsequent album Madrigal ("done in a bloody rush" says Viv McCarthy) wasn't their finest moment and the single Can You make It On Your Own disappeared . . . and the title seemed prophetic. They broke up in January 1970, eight years after the Young Ones had formed and were playing Shadows' covers. As Stott says in the liner notes, "I ended up living back home with Mum and Dad with 50 bucks in my pocket, a pair of drum sticks and a suitcase full of stage clothes." 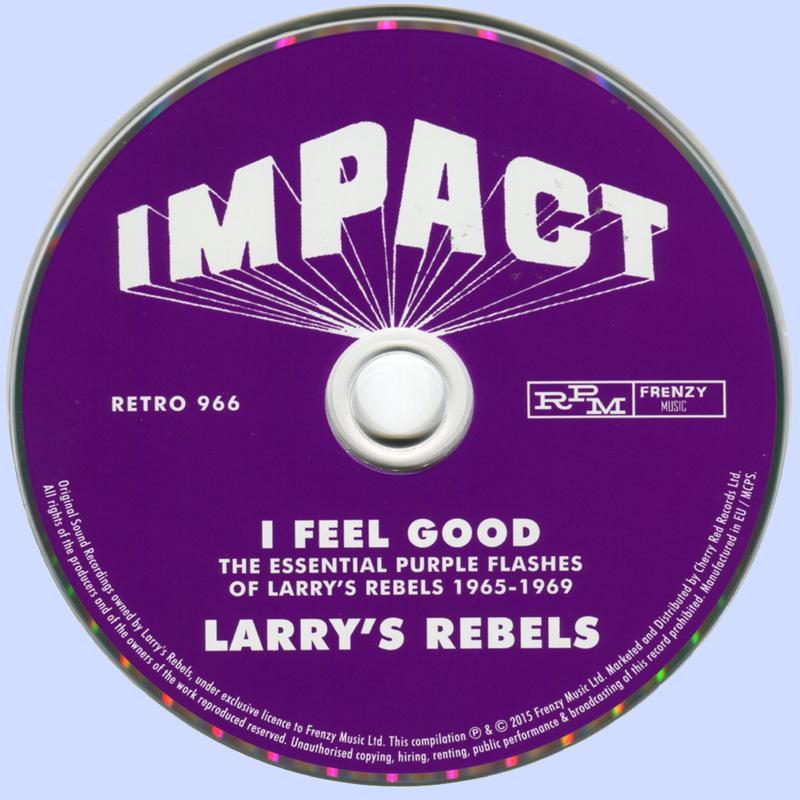 But it had been a thrilling ride for both the band -- which also toured with Tom Jones, Eric Burdon and the Animals, the Easybeats in Australia and others -- as well as those in their enthusiastic audience. Nice to read they used to sneak vodka into the Top 20 to add to their orange juice.